Important details of Kingdom Hearts 3 that you should not miss before its release! Before swooping into the essential details of Kingdom Hearts 3 we will enlighten what this game is and what’s all the fuss about this game? The game was debuted in 2002 and is the long-running game which was first introduced to PS2. This game was created by Tetsuya Nomura, Kingdom Hearts is an action-RPG combination of movies and games of both Disney and Square Enix. Over the course of the game, the protagonist Sora and his allies have travelled across the globe, forming bonds with many familiar characters such as Aladdin, Mulan, and Hercules and fighting against enemies such as Scar from the Lion King and Sephiroth from Final Fantasy VII. 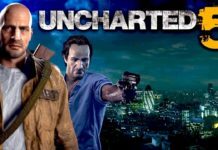 Though the name of the game indicates it as being the 3rd instalment, however, it is 8th in the series. Kingdom Hearts 3 promises the same tradition of offering the richly realized world to explore. One of the important details of Kingdom Hearts 3 reveals that there are some new visuals and design added to the characters of Sora, Donald and Goofy. The detail also adds that the locations they would explore will be powered by Unreal Engine 4. So, the most important question is whether the game has anything new? The answer is, it is pretty much the same as the Kingdom Hearts 3, albeit with a much larger scope. As there will be a much larger place to explore, players will be able to have 5 characters in a party at once, with two guests joining the trio. Kingdom Hearts 3 will have new abilities that will make it interesting to decimate the enemies coming in the way. One of the new abilities is known as Attraction flow, allowing Sora to conjure up a ride just like the ride in the Disneyland such as Splash mountain or the teacups from the Mad Tea party attraction. Having the ability to conjure the ride in no time the character can deal heavy damage to multiple enemies at once. The confirmed world so far has got the likes of Kingdom of Corona, Twilight town (Kingdom hearts), Toybox (Toy Story), Arendalle (Frozen), Hundred Acre Wood (Winnie the Pooh). However, the final game has a lot of worlds that are yet to be revealed which can be known only when we play the game. The latest trailer exhibited during Microsoft’s E3 press conference revealed a return visit to the Pirates of the Caribbean wherein the events were adapted from the Third film at the world’s end and also it was seen that Sora and friends encounter Elsa in the Frozen wilderness, who is under attack from heartless. These all points clear what the new game will be like which is due for release on 29 of January. 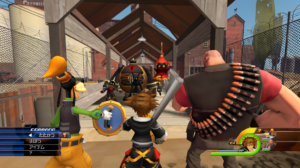 Kingdoms Hearts 3 will be released to the PlayStation and Xbox One, this time Kingdom Hearts 3 is being introduced to the Microsoft console; as this game is pretty much considered for PlayStation platform only. To know better about this game we must wait until it is released to experience it. Previous articleBond 25 to be the last James Bond movie! Next articlePUBG mobile is all set for its colossal update 0.10.5 with zombies and several other things! 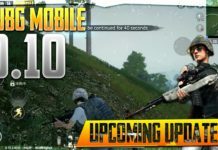 PUBG mobile is all set for its colossal update 0.10.5 with zombies and several other things! ‘Last Day On Earth’: A new addiction for Gamers! Jennifer Aniston celebrating her 50th Birthday alone! Tyler and Catelynn Divorce? Here is the Truth! Attack on Titan is getting a Hollywood remake at Warner Bros! NewsDio is a website intended to deliver news related to Business, Tech, Finance, and Sports networks. 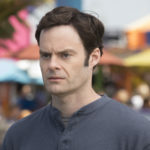 It is operated by writers and co-workers situated at several locations globally. We aim to create high-quality content for our readers of business and tech niche. At NewsDio, we offer the latest news, prices, breakthroughs, and analysis with emphasis on expert opinion and commentary from the Finance and Business community.